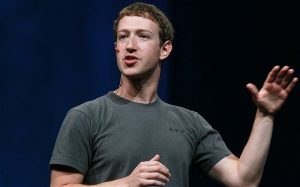 During an interview with The New York Times, Facebook CEO Mark Zuckerberg defended his company”s ability to innovate and said that it is always working on new ideas that aren”t directly tied to the main social network. In his first answer, which was in response to a question about Facebook”s “Creative Labs”, Zuckerberg said that unbundling the mobile app makes sense and they are working to figure out the best way to do that. His answer seems to tie in with Facebook”s current move to take chat out of the main app and move it entirely to Messenger. Zuckerberg wasn”t afraid to recognize some of the company”s major failures as well, and in his eyes, Facebook Home may very well have been the biggest. Given the fact that Facebook”s acquisition of WhatsApp for $19 billion was perhaps one of the biggest moves it has ever made, The New York Times also questioned Zuckerberg about that decision. He responded by saying that although Facebook”s messaging apps are very successful, WhatsApp is entirely different when it comes to the way people use it. Overall, Zuckerberg used the interview to make the case that Facebook is still continuing to innovate, but buying other companies sometimes makes more sense. Question – Do you think Facebook is an innovative company? Summary: The New York Times interviews Facebook CEO Mark Zuckerberg. He made the case that Facebook is still innovating and that its current moves reflect that.